New data released by the American Society of Plastic Surgeons (ASPS) shows 2018 plastic surgery trends, including nearly a quarter million more cosmetic procedures performed in 2018 than the previous year. More than 17.7 million surgical and minimally-invasive cosmetic procedures performed in the United States in 2018, a number that has risen steadily over the past five years. Three of the top five surgical procedures focus on the body, and in 2018, there was an increase in all three. See the full 2018 National Clearinghouse of Plastic Surgery Report. The American Society of Plastic Surgeons (ASPS) is the world’s largest organization of board-certified plastic surgeons. Representing more than 8,000 Member Surgeons, the Society is recognized as a leading authority and information source on aesthetic and reconstructive plastic surgery. 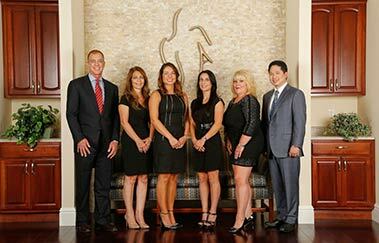 ASPS comprises more than 93 percent of all board-certified plastic surgeons in the United States. Above Copy Used with Permission: Copyright © 2019 American Society of Plastic Surgeons. Dr. Restifo is a longstanding ASPS member. To learn more about the important Difference Between Cosmetic Surgeons, Facial Plastic Surgeons and Plastic Surgeons, Click Here. Struggling to make sense of all the plastic surgery information (and misinformation) out there? Read this. what you need to know about Unqualified Practitioners!